Driving Under The Influence (DUI) also called Driving While Intoxicated (DWI) or Drunk Driving is a crime in California. Law enforcement in Stockton and its surrounding areas of Manteca, Tracy, and Lodi are relentless in their pursuit of potential drunk drivers of San Joaquin County are When you or your family is in a situation you didn't expect, such as getting a DUI, you need to hire an aggressive and knowledgeable DUI attorney. WARNING – You only have 10 days to save your license!! You only have 10 days to request a hearing to challenge the automatic suspension of your California Driver’s License. Whether you hire our firm or not, you should request such a hearing to preserve your driving privileges pending your DMV hearing. Drunk Driving or Driving Under The Influence makes it illegal to operate a motor vehicle while intoxicated or under the influence of drugs, including prescription drugs or under the influence of marijuana or cannabis. Commonly DUI’s are prosecuted under two California Vehicle Code Sections: Vehicle Code § 23152(a) and § 23152(b). Also the government prosecutes people under Vehicle Code § 23152(d) for driving with a blood alcohol content of .04% or higher, while operating a commercial vehicle. Being under the influence alcohol or drugs. A person is considered to be under the influence if, as a result of ingesting alcohol or drugs, the person’s mental or physical abilities are so impaired that they can no longer operate a motor vehicle with the caution of a sober person, using ordinary care, under similar circumstances. Having a blood alcohol content (BAC) of .04% or higher. 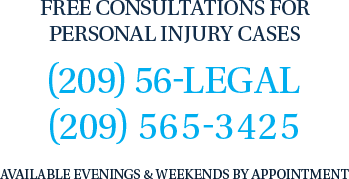 A DUI with injury is found in California Vehicle Code §§ 23153(a) and 23153(b). It a nutshell it is the standard DUI with two added factors (1) The DUI driver also committed an illegal act or failed to perform a required act and (2) This failure to act or illegal act was the cause of bodily injury to a person other than the DUI driver. This section could be charged as a felony or as a misdemeanor because it is a wobbler charge. If charged as a misdemeanor the maximum jail sentence that can be imposed is 1 year. If charged as a felony the sentencing triad is 16 months, 2 years or 3 years in custody and a fine up to $10,000 dollars. 3 or more DUI’s within a 10 year period could garner that person a felony DUI prosecution for their 4th DUI. Simply put, if he person has 3 convictions for prior DUI’s that occurred within 10 years of the currently pending DUI, that new DUI could be charged as a felony. It could also be charged as a misdemeanor, meaning multiple DUI charges are considered wobblers. If arrested for a DUI in the Stockton area, you need to contact Stockton DUI Defense Lawyer Tai C. Bogan with the Bogan Law Firm. The firm has experience in all San Joaquin County Courts, including the main courthouse in Stockton and all the outlying courts in Manteca, Tracy and Lodi. You may also call at 209-56-LEGAL or 209-565-3425.